Do you want to learn Kitesurfing and it is you first experience? 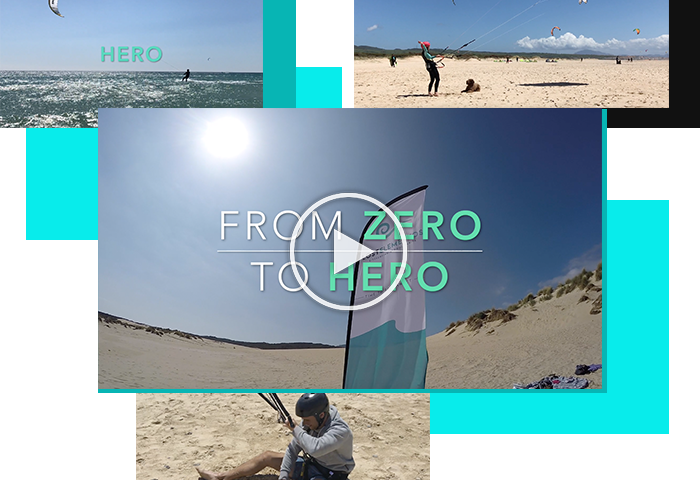 In this video we show you all the process from zero to hero of a Kitesurfing course in Tarifa. Recorded in Playa de Los Lances, the main spot for schools and teaching area in Tarifa, it´s where almost all our lessons take place. This wide sandy beach is an exclusive teaching area, this means that all the students learning kitesurfing have a priority. We will let you know couple of days before your arrival what is the wind condition and which spot we will choose for your kitesurfing lessons. Normally we meet in the Parking area of Playa de los Lances Norte, next to Chiringuito Agua. From there we will take all our equipment and we will go to a spot in the beach where we will set up our flag. Tarifa is a Natural Reserve, the physical buildings for schools in the beach are not allowed, so all the schools set up their flags in the school area of the beach. We will be able to leave all our things and equipment in the flag, Pompa our Kite Instructor assistant will be always around protecting the gear while we are in our kite lesson. During your first steps you will be getting used to all the equipment, security systems, wind theory and Kite Control. 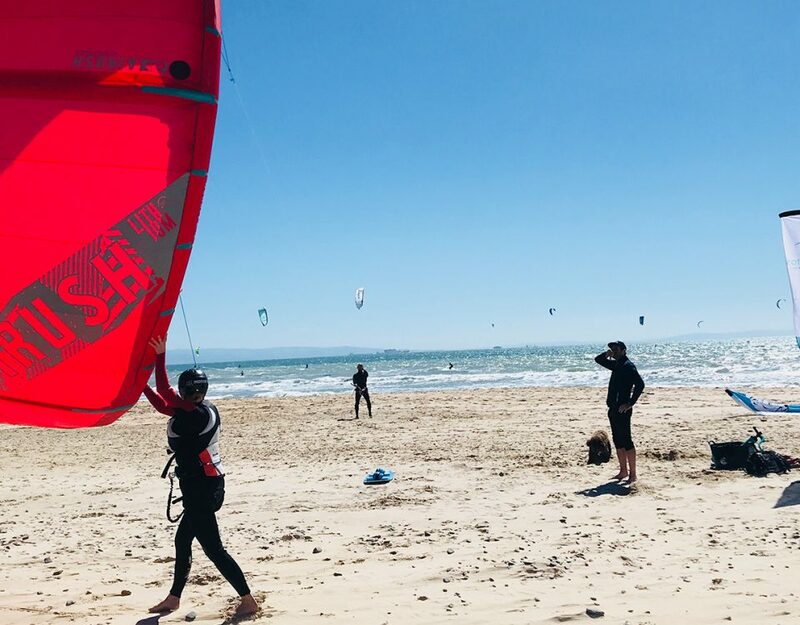 Once you are able to control the kite and you feel confident with it, you will start connecting with the water and wind until you complete the kitesurfing course and become an independent rider. The lenght of the kite course in days will depend on each person, normally a full course of Kitesurfing takes around 3 to 6 days. It all depends on the amount of hours you do per day an dthis will depend on wind conditions, weather and the habilities and capacity of each person. As a reference, the first day we normally do 3 hours session in the morning and 2-3 hours session in the evning. Once the level increases, we do between 2 to 4 hours a day until the end of the course. Also if you want to know why Tarifa is the best place to learn kitesurfing you can have a look to this post. Lost Elementos, the best and most innovative school in Tarifa. Learn kitesurfing in the coolest atpmosphere, it is time to reconnect!